Although MS Outlook is one of the finest and most preferred email client among users worldwide, There are few other email clients as well which are used by a number of users Windows Live Mail is one of them. While Windows Live Mail stores emails and user information in EML files MS Outlook uses PST file, Therefore emails created with one program not synchronizes automatically with other client. Tody in this article I will tell you how to export emails from Windows Live Mail to Outlook PST. Before you start the process to export EML to PST you must ensure that MS Outlook is installed on your system with user profile created. Note: The time taken by Export process depends on the number of emails you are exporting. 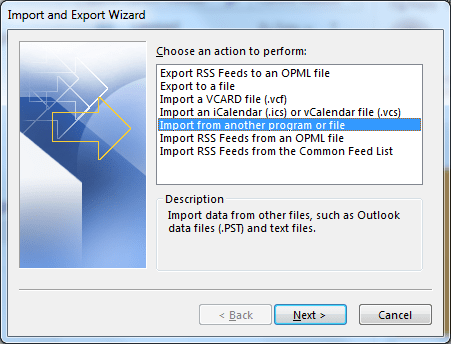 Now on CSV export window Click on browse and now select Desktop folder. 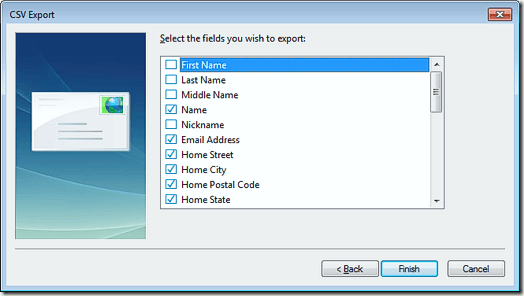 After the Export is completed you can close Windows Live Mail window, Now you have to import the contacts to MS Outlook. Go to Contacts >File, select Open and now click on Import. Now select the option “Import from another program or file”and click Next. ClickBrows to select the file WLMContacts then click Open.